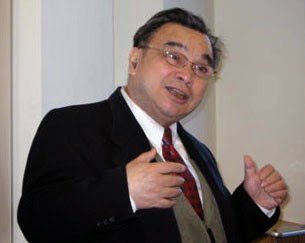 Cao Siyuan was born in 1946. In the early 1980s, he had already become a prominent intellectual within the government and very active in the reform effort. In 1985, he spearheaded the effort of drafting and passing the very first bankruptcy law in the country still dominated by state-owned, centrally planned economy. By 1989, he had left his government position and become a consultant on entrepreneurial finance and bankruptcy issues. He was also part of think tank in the Stone Corp. At the latter stage of the movement, he was the driving force behind scenes to get the Standing Committee of the National People's Congress involved in resolving the conflict. He lobbied Hu Jiwei and eventually collected 46 signatures from the Standing Committee members in Beijing on a petition for an emergency meeting of the committee. Although it more than met the legal requirement, the meeting did not take place. Because of his effort, Cao Siyuan was among the few intellectuals arrest in early June, even before the massacre. He stayed in jail for about a year. After his release, he continued his consultation work in the merge and acquisition area as well as bankruptcy. He is also active in pushing for constitutional reforms. Cao Siyuan died of cancer on November 28, 2014. He was 68.